For those who have never celebrated Passover, it helps to know that it's a significant holiday in the Jewish community. Passover is a time of remembrance for when the Jews escaped their slavery in ancient Egypt. Although each family may celebrate the Passover Seder a little bit differently, the spirit and a few main themes remain the same. Understanding the basics of Seder dinner can make it easier to appreciate — and adapt — as a first-time guest. 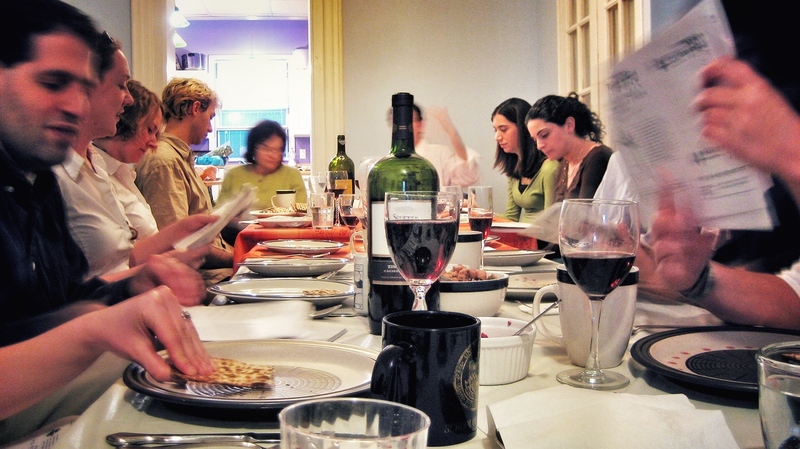 My first Seder happened a few years after I was dating my now-husband. Needless to say, I was a little nervous. I didn't know what to expect. I was sure I was going to make a huge mistake, completely embarrass myself and never be invited back to their house. Luckily, my husband's family is extremely kind, so even a big mistake probably would have been forgiven. Even luckier, none of that happened. Before I went, I tried to figure some things out but couldn't get an inside scoop on what to expect. There was a lot of information about Passover in general, but no good understanding of what to anticipate if you'd never attended a Seder. Based on my experience (that first one and quite a few more since), here's my take. During Passover, Jewish people generally aren't supposed to eat any food that rises. Most people just equate this to bread, but you would be amazed at what is on this list: things such as wheat, rye, oats, barley, legumes, corn, rice and most products made from them. As you can tell, even trying to make a dessert gets difficult. Do yourself a favor, and stick to a recipe with only a few simple ingredients, such as a vegetable. The dinner is just one small part of the celebration. There is a lot of storytelling and remembering that goes on prior to (and even after) the actual dinner. It takes time, and then even the dinner is served in courses. Some things you may enjoy. Some things you may never want again. Open your mind and your mouth. Take an insider tip, though: Look for the smallest sprig of parsley. It's not easy going down! My husband's family likes participation, so even I sometimes read in Hebrew, and I am the worst. (Don't worry: I didn't learn before I went. They spell it out phonetically.) If you have to do it, just try your best. It's not a contest. It's a celebration. Here's the most important thing: Be ready to learn something new and enjoy yourself. Even though I learned about Passover growing up, it's all new when hearing it from the Jewish perspective. Enjoy your first Passover Seder!